Massachusetts Alternative Rehab Clinic At the Freedom Model's Retreats you will learn how to overcome excessive alcohol use permanently, in a private and personal setting. If you have been an Alcohol Rehab in Massachusetts and felt like your stay was not private and confidential, call Freedom Model today. The program at the Freedom Model Retreat Houses, where the guests stay, evolved from a model similar to a conventional Alcohol Rehabs to one that is very different from a traditional Inpatient Alcohol Rehab Program. The individualized nature of the program, based on the needs of the guest, is one of the attractive features of this option. Guests study course materials, write extensively about their own experiences, and interact socially with other guests. The six week program is an exciting alternative to other Inpatient Alcohol Rehab Program models that exist on the market today. According to a recent research performed by the Substance Abuse and Health Services Association, in the State of Massachusetts for the year 2004 there were 208,000 individuals with an Alcohol Dependency, in the state of Massachusetts, surprisingly needing but not receiving treatment for Alcohol Use the number only raises to 436,000 alcohol abusers. This number represents 2.5% of the total with an Alcohol dependency abuse problem in the United States. Are you or a loved one struggling with Alcohol? Are you looking for a way to truly overcome Alcohol addiction? Are you one of the many who return to treatment over and over only to relapse? Does it seem as if you or your loved one is getting worse and not better with each admission? If you’re looking for Alcohol addiction treatment in Massachusetts, you are probably aware of the growing problem. Most people choosing a traditional treatment path will follow the cycle of relapse and return to treatment over and over again in their lifetime. Relapse is a serious issue and all the more so as treatment not only ignores dealing with it but instills an expectation and fear of relapse in those who go to treatment. It’s not uncommon for people to be told while in treatment to expect to be back for more treatment when they fail. In only one year in Massachusetts, 20,041 people sought treatment for Alcohol addiction and 56.1% or 11,243 people relapsed. On the one hand treatment tells you that you are the cause of relapse yet they never give you information or help to move beyond. A more effective long term solution is a non 12 Step program that not only gives you accurate information on addiction but also helps you write a solid plan for meeting the goals and dreams of your life. At Freedom Model Retreats, we start with addiction but that’s just the beginning. When you know that treatment doesn’t work, what effective option is there? Freedom Model Retreats has been helping people from all over the US, including in Massachusetts, to move past Alcohol addiction and live a life free of fears of relapse. Our completely non 12 Step program provides you with decades of addiction science and research so you can finally put the myths of addiction, recovery, and relapse to rest. Our cognitive behavioral program will help you feel empowered to change the self limiting habits and beliefs that no longer work for you and exchange them for healthier options for a happier life. You’ll write a personalized plan with the goals and dreams that mean success in your life. You can truly end addiction easily, fearlessly, and forever—let us show you how today. Seeking A Alcohol Rehab In Massachusetts? Find the Proven Solution At Freedom Model's. Over the last two decades people have called us with Alcohol problems wondering if their addiction to Alcohol was in fact a disease. The truth is that it is not. People from Massachusetts as well as many other states overcome Alcohol problems every day without treatment and endless meetings. 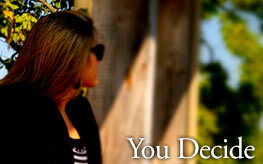 If you want to live a life free from Alcohol addiction please call Freedom Model's. 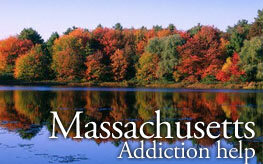 We have helped many people from Massachusetts find a solution to their problems. We are here to show you how life has so much more to offer.